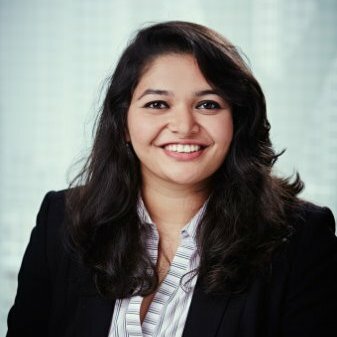 As per the Radicati Group, in 2017, the total number of emails sent and received per day was 269 billion, and is expected to continue to grow at an average annual rate of 4.4% over the next four years, reaching 319.6 billion by the end of 2021. Email is a great tool for personal productivity, but when it comes to collaborating and discussing ideas and initiatives with a team, email can be a little tiresome. Inboxes get choked with multiple emails, files and repeated documents. 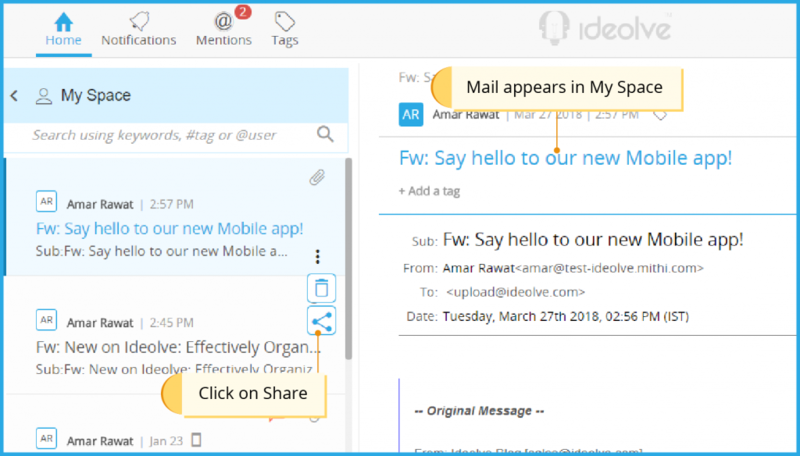 Instead of discussing projects and sending documents back and forth over email, users can now simply export the mail to Ideolve directly from his/her inbox. 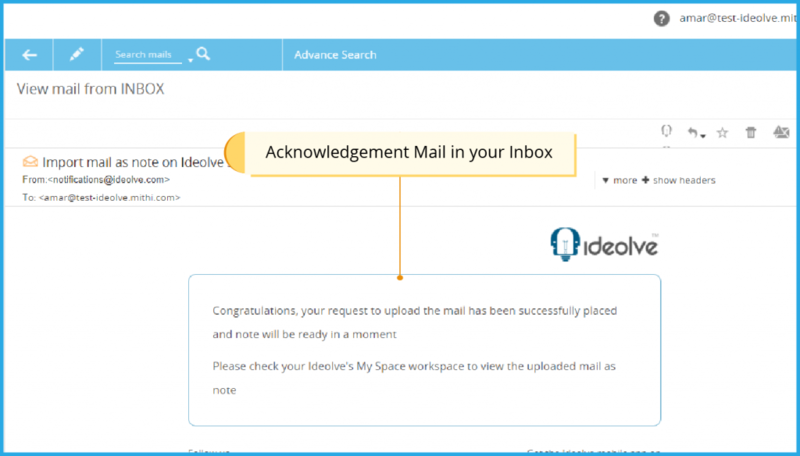 This uploaded mail will be stored in the user’s personal workspace – My Space. 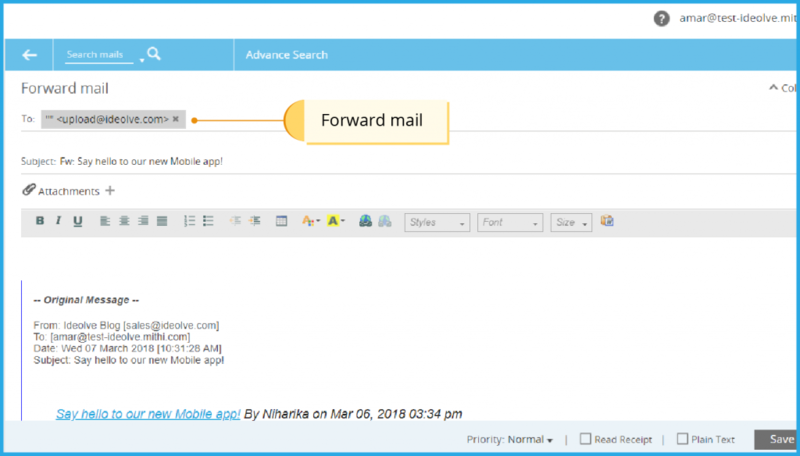 Any attachment that is present in the email will also be exported to Ideolve. 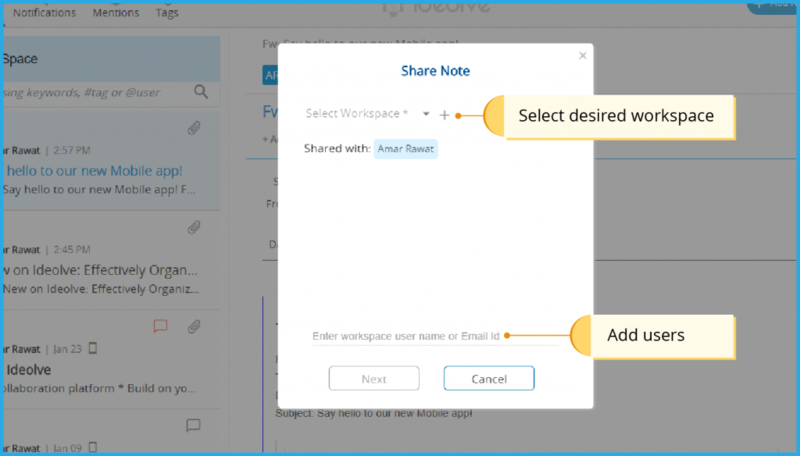 From here, the user can share the note to the desired workspace, add other users who are required to contribute and start collaborating. It is that simple! 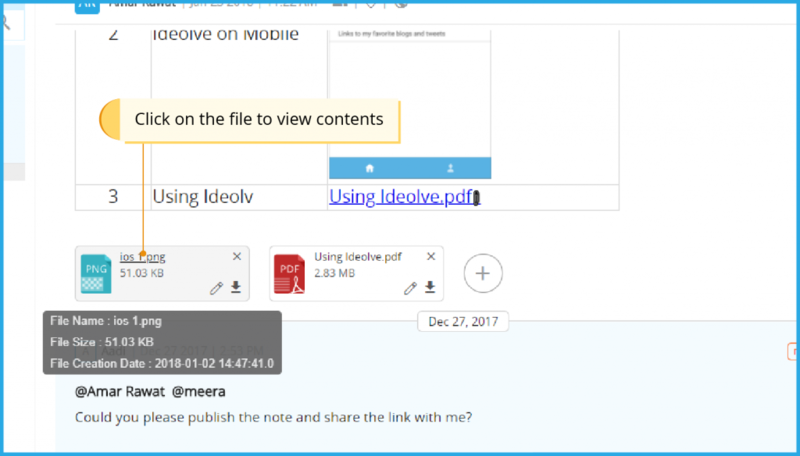 In case an unregistered user sends an upload request to upload@ideolve.com the system will send an email to the user to register before using the service. Additionally, users no longer need to download a file in order to view it. Simply click on the title of the attached file to get a preview of the contents and changes made. This makes it quicker and easier to review the work and respond immediately if any changes need to be made. Not all users in a note may be active participants; in which case, this feature comes in handy to stay abreast of what is happening on the project without needing to have multiple downloaded copies of the files. We hope that you find these features interesting and contribute towards increased team productivity.